Palij's U.S. citizenship was revoked in 2003 based on his wartime activities, human rights abuses and immigration fraud. A former Nazi concentration camp guard who spent decades living in New York City before he was deported to Germany last year has died. 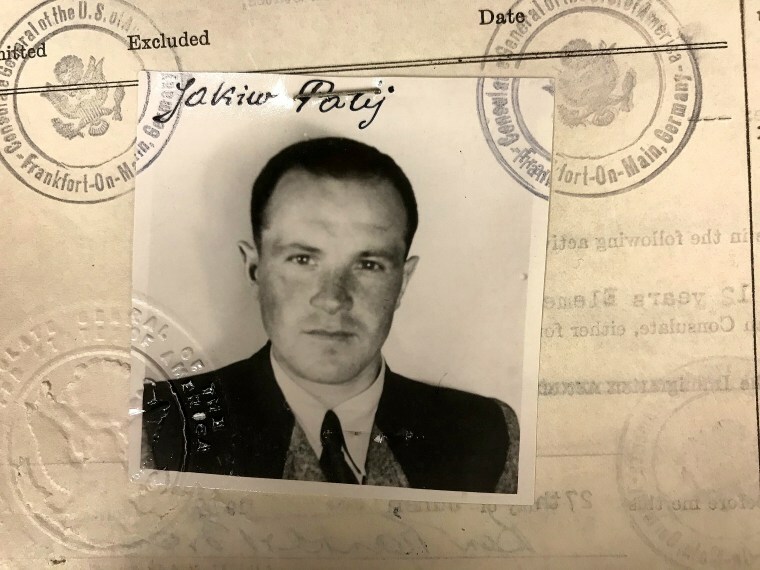 Jakiw Palij, who served as a guard at a Nazi forced labor camp during World War II before immigrating to the U.S. in 1949 and becoming a citizen in 1957, died Wednesday at the age of 95, according to a spokeswoman for the county of Warendorf, where Palij was most recently living in a retirement home. His U.S. citizenship was revoked in 2003 based on his wartime activities, human rights abuses and immigration fraud. But he was able to continue living in his red brick home in Queens with his wife, Maria, until 2018 because Germany, Poland, Ukraine and other countries had refused to take him. His continued presence there outraged Jewish members of the community and attracted frequent protests outside his house. Last year, members of New York’s congressional delegation urged the Trump administration to deport Palij. According to the White House, the administration conducted extensive negotiations with Germany in order to deport Palij since he never held citizenship there. Palij, an ethnic Ukrainian, was born on former Polish territory, an area now in Ukraine. Germany's Foreign Office said its decision to take Palij in showed the country was accepting its "moral responsibility." When he came to the U.S., he concealed that he had served as a Nazi guard, saying that he was working in a factory on a farm during the war. He lived in New York for years, as a draftsman and later as a retiree. But then investigators discovered his name on an old Nazi roster, and a fellow former guard revealed to them that he was "living somewhere in America." When Justice Department investigators showed up at Palij's door in 1993, he told them: "I would never have received my visa if I told the truth. Everyone lied." Palij later admitted to officials that he had attended a Nazi SS training camp in Trawniki in German-occupied Poland and then served as an armed guard at its adjacent labor camp. According to the United States Holocaust Memorial Museum, the Trawniki camp was part of “Operation Reinhard,” the Nazi operation to murder the approximately 2 million Jews residing in German-occupied Poland. Palij served at Trawniki in 1943, the same year 6,000 prisoners in the camp and tens of thousands of other prisoners held in occupied Poland were rounded up and slaughtered, according to the Justice Department. Palij said he was forced to be a guard and denied any involvement in war crimes. A federal court ruled that he had assisted in the persecution of prisoners at the camp, but stopped short of finding him responsible for deaths. German prosecutors have previously said it does not appear that there's enough evidence to charge Palij with wartime crimes, but shortly after he arrived in Germany, Poland had asked the U.S. to share information they had gathered on him. A prosecutor said at the time that U.S. files could help "fill in the gaps" in documents held by Polish investigators and could provide information that could lead to wartime crime charges against Palij.